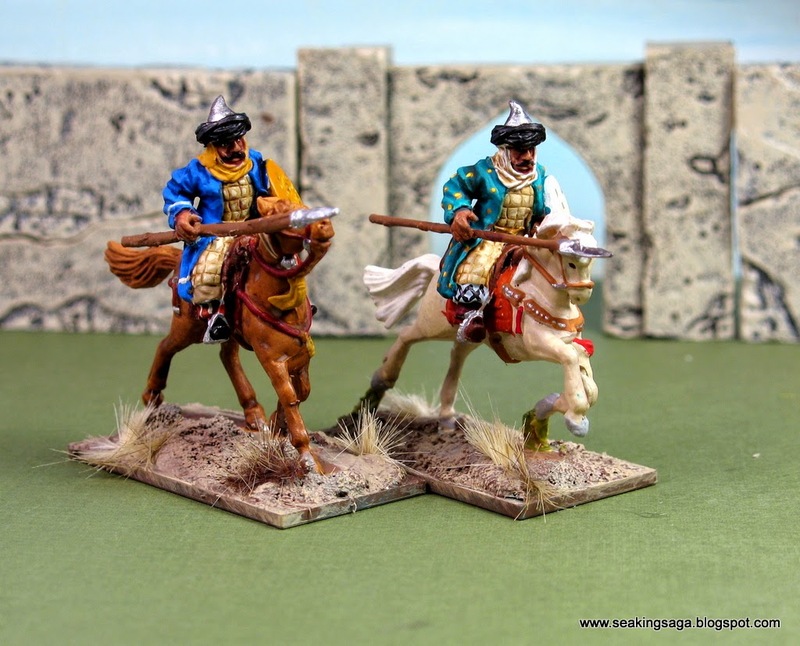 Last year, I purchased a shedload of Essex Arab and Tang Chinese figures from a webstore that was closing down. A number of them were cavalry and unfortunately they were riders only - no horses. But at well under a dollar for a 28mm figure, I couldn't pass it up. However, finding compatible horses has been a bit of a quest, but I like the hunt. Essex's would of course be perfect, but after rather high shipping costs and currency exchange, I was looking at about a $4 horse. Wanting to keep costs low, I looked at a variety of plastic sources. HaT is a manufacturer of mostly 1/72 soft plastic figures. 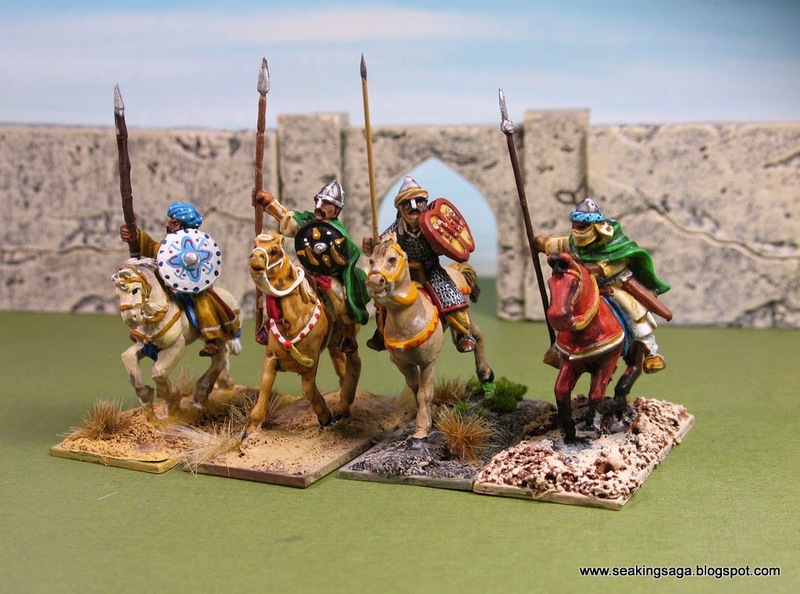 I have a Macedonian and Persian army from them. They are good figures, but no one seems to game ancients in that scale - it is either 15mm or 25/28mm. Three identical sprues come in a box. 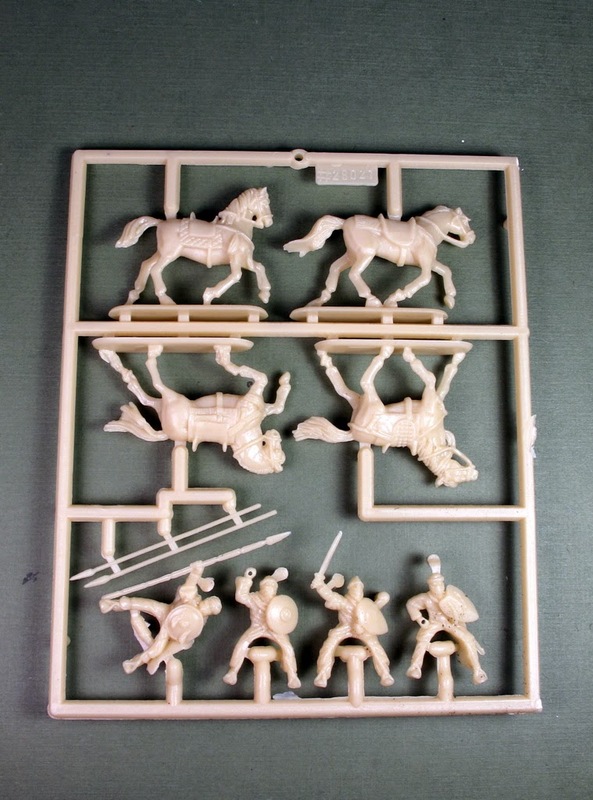 The horses and riders are single piece models, in a hard, slightly glossy plastic. The horses are good, the riders are the weak point. On the other hand, they are inexpensive. I can get a pack for under $16 at a "big box" hobby store, or pay a little more via the internet. That's a decent price for 12 plastic 28mm figures - but are they worth it in terms of quality? 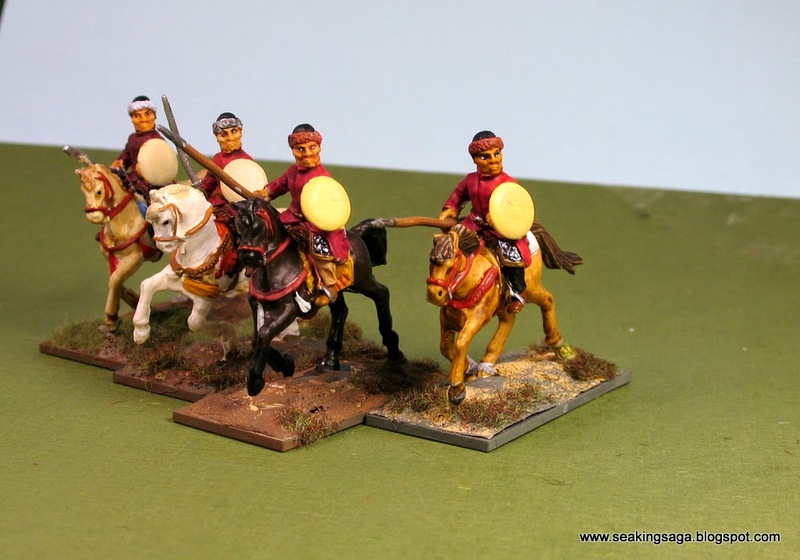 Below, here are some of the Essex heavy cavalry mounted on HaT horses. All it took was a little shaving of the saddle and some file work on the rider. Essex Arabs on HaT horses. I was tempted to work on a unit using the included figures. I clipped off the original heads and glued a spare head from the Gripping Beast plastic Arab box. Since the head is what are eyes are most drawn to, this conversion goes a long way to make these figures compatible with other 28mm lines. Below, a comparison of the converted HaT to similar models. From left to right, Old Glory, the converted HaT, Gripping Beast and Artizan. 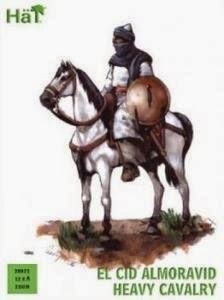 Overall, the HaT's are a good, but not ideal way to supplement your early Arab or Moor army. 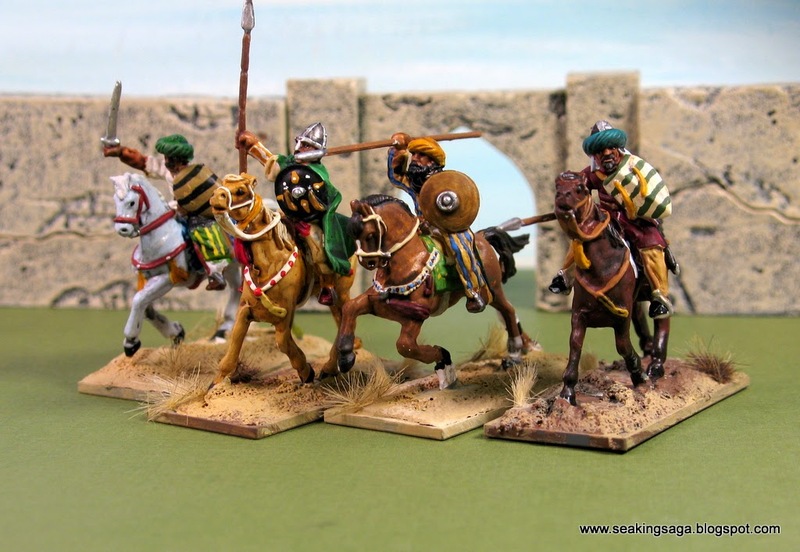 In light of the recent announcement from Gripping Beast that plastic Arab cavalry is coming in April, I am afraid these might not be so useful after all. Henceforth, I will Cheap Archeage Gold learn and apply another secret of those who excel in my work. When each day is ended, not regarding whether it has been a success or a failure, I will attempt to achieve one more sale. When my thoughts beckon my tired body homeward I will resist the temptation to depart. I will try again. I will make one more attempt to close with victory, and if that fails I will make another. Never will I allow any day to end with a failure. Thus will I plant the seed of tomorrow's success and gain an insurmountable advantage over those who Archeage Gold cease their labor at a prescribed time. When others cease their struggle, the Buy Archeage Gold mine will begin, and my harvest will be full.